Today, Health information systems (HIS) constitute a crucial part of medical and health studies in the literature, and HIS studies have been expanded by the development of health technologies. Providing healthcare services on the mobile platform is also boosted the technological developments by increasing reachability, accessibility and ability to perform tasks on decision making/ diagnostic processes (Nah & Siau, 2005; Sarker, 2003). 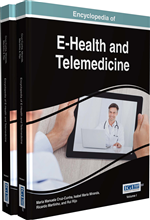 The term HIS has been interchangeably used with the terms of “e-health” and “health informatics” in the literature, however, they had slight differences by the means of definition. HIS defined as an interdisciplinary field which involve information systems, computer science and health services (Eysenbach & Diepgen, 2001). On the other side, Mitchell (1999) defined health informatics as a supporting healthcare practice which is the combination of electronic and digital processes. At the time of early developments in health technologies in health and medicine, it was started with improvement in utilities and tools being used in health services. In this context, Reichertz (2006) explained technological developments in hospitals emphasizing the social side of technology. However, it was noticed that technology is required to be learned as Haux (2006) outlined. Haux (2006) elaborated Reichertz’s study by increasing use and evaluation of health technologies and emphasized on the need of education and research on HIS. Furthermore, Berg (2001) argued the success in health information systems not limited to specific criteria but depended on implementation itself with inclusion of all parameters as systems and users. On the other side, altruism, individual commitment and motivation were identified as contributing attributes for technology acceptance of health technologies (L. Schaper & Pervan, 2007). Here, it is a fact that Information and Communication Technologies (ICT) provides important assistance to health providers in terms of providing health services. For instance, non-communicable health diseases constituted an important part of health services due to their high degree of fatal results (WHO, 2008). In this context, cardiovascular diseases were estimated to cause death of 17.3 million people in 2008 (WHO, 2011). However, it was estimated that HIS stands as one of the key elements to reduce the risk of fatal results. The literature presents plenty of studies in the field of HIS. One study reported that HIS have been assisted to healthcare providers for diagnostic processes which increased effectiveness (Piette, Blaya, Sanchis, Box, & Arbor, 2011). Another study about patient safety stated that information technologies in cardiac health services have been assisted physicians in diagnoses and vitally reduced risks in patient security (Daudelin, Kwong, & Beshansky, 2005). Here, it can be deducted that the success in HIS is vitally significant, but here, implementing HIS successfully emerges as another important question. Unified Theory of Acceptance and Use of Technology (UTAUT): UTAUT is one of the most popular technology acceptance theory which was developed by unifying eight different theories. It aims to explain user intentions by proposing a unified model for information system use. Health Information Systems (HIS): HIS is a common definition of information systems being used to serve health services. It covers telemedicine, electronic health (e-health), mobile health (m-health) and other healthcare related technologies. Technology Acceptance Model (TAM): TAM is one of the pioneering theories which aims to determine behaviors of users towards particular technologies by employing two factors: perceived usefulness and perceived ease of use. Behavioral Intention: It is the common factor being employed by all technology acceptance theories. It aims to define individuals’ act in use a particular technology. Theory of Planned Behavior (TPB): TPB constitutes the basis of TAM, and it proposes a theory which explains user attitudes towards technologies by investigating their perception of ease or difficulty of performing the particular behavior and social influence. Technology Acceptance: Technology acceptance is an interdisciplinary domain, which employs psychology and information systems fields of study to investigate users’ attitudes towards new technologies. Innovation Diffusion Theory (IDT): IDT proposes a model to investigate the transformation process of emerging innovations or existing technologies.